first of all I think it is important to understand that the car of the future has nothing in common with the once developed mechanical wonder which we used the last 70 years. Thats where german carmakers developed wonderful products that were really succesful. But times are changing: the “car” of the future will be a computer on wheels.For a lot of people this might sound weird but I am totally confident that this is the direction where future development is heading to. And why is this? The cycles of innovation need the improve. Nowadays every six years there is a new model. During that lifecycle the platform of the car and the features that could be ordered are more or less predefined. And when the customer buys a car he has to choose what kind of additional equipment and functions he wants within its car for the next couple of years. Tesla for example shows how it could be done. They provide a “hardware platform”. And you can order new functionalities for that platform. Over the air. As software updates. E. g. this was the case for the “Autopilot”. And with the selfparking feature. And there is one fact that should be interesting for every car manufacturer: it is possible to earn money with these kind of updates. 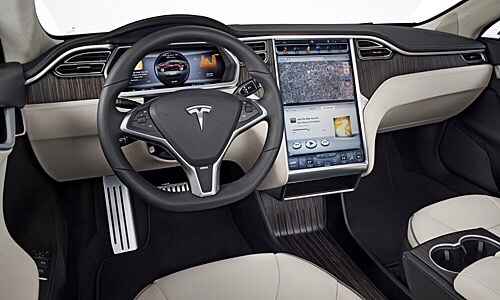 Tesla is earning money with these software updates. And the manufacturer has an ongoing relationship with it´s customer. The conclusion is that it is not sufficient to change the powertrain of a car and switching from conventional gas powered engines to electro mobility or to use new online functionalities like apple car play. It is necessary to find new approaches for the development of the next generation car – the computer on wheels. Zurück Vorheriger Beitrag: Wo sind die deutschen Automobil-Startups?